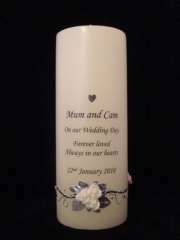 Remember those loved ones who cannot be part of your special day by lighting a Remembrance Candle as part of your ceremony or at your reception. 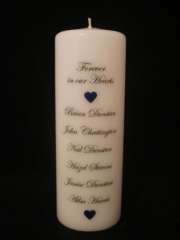 A lit candle provides comfort, creates atmosphere and symbolises a connection with those present in our thoughts. 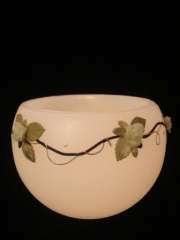 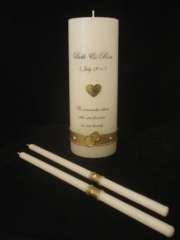 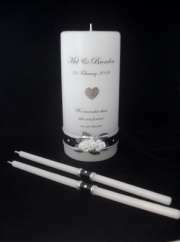 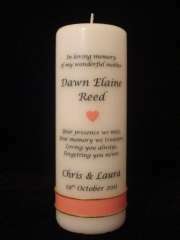 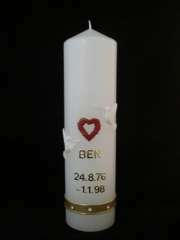 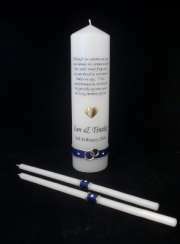 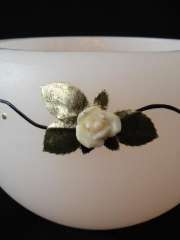 The candles listed here were created for or are particularly suitable for weddings. 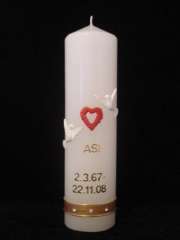 Please browse through the main 'Remembrance' category (and others) for further ideas. 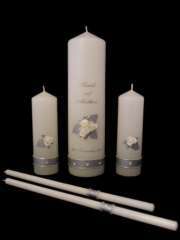 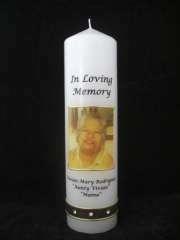 All candles are custom designed and decorated. 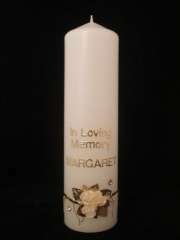 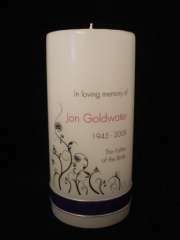 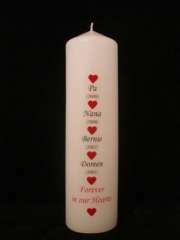 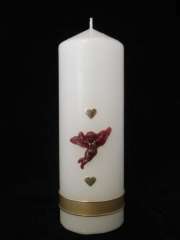 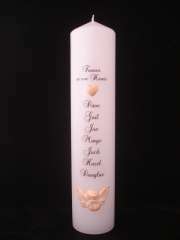 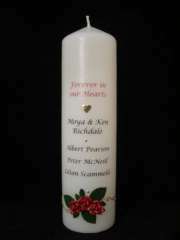 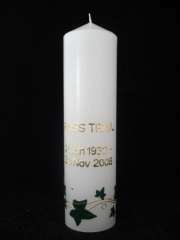 See 'Remembrance' category for further listings of memorial candles. 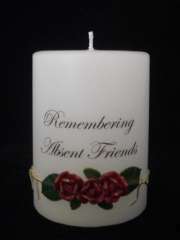 Also see regular updates of new designs on facebook, just click the link on top.